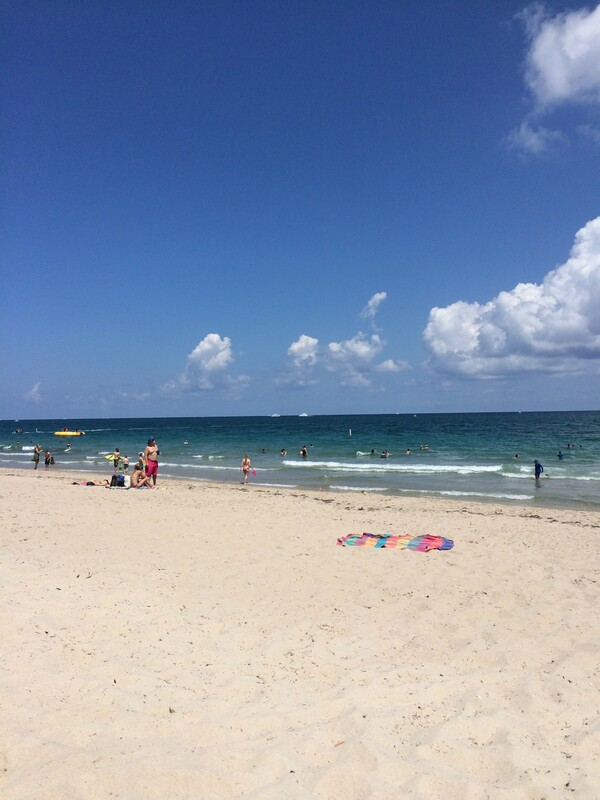 During Easter Break, week 17 into week 18, I met my family in Pompano Beach, Florida for a little pregnancy R&R. I was nervous for the whole three and half hour flight but I made it and it was well worth it. Family time, warm weather, salt air and sunshine were just what I needed. My suggestion, if you can during pregnancy, is to travel when the opportunity presents itself. This freedom will be gone before I know it. Time with my family is very special. I slept better. I was up early and out the door by eight at the latest. I really started to look forward to breakfast, especially by the beach. I also took a daily walk on the beach to keep up with my exercise. What better way to exercise than in the sunshine with my feet in the sand and the ocean? I also realize that I was now into my second trimester. I was less tired, less anxious and more energetic and generally enjoying myself more frequently. We spent the day by the pool or on the beach and then would go out for a delicious dinner. I couldn’t have asked for a more delightful five days. I also felt pretty darn good in my Victoria’s Secret bikini with my newly acquired pregnancy curves. This entry was posted in Moms & Dads, Pregnancy and tagged pregnancy, pregnancy 17 weeks, Pregnancy and travel, pregnancy second trimester, Victoria's Secret by llpitlwp. Bookmark the permalink.